Charter a private plane with Cobalt Air, LLC. Cobalt Air, LLC is an FAA-certificated, on-demand aircraft charter company. 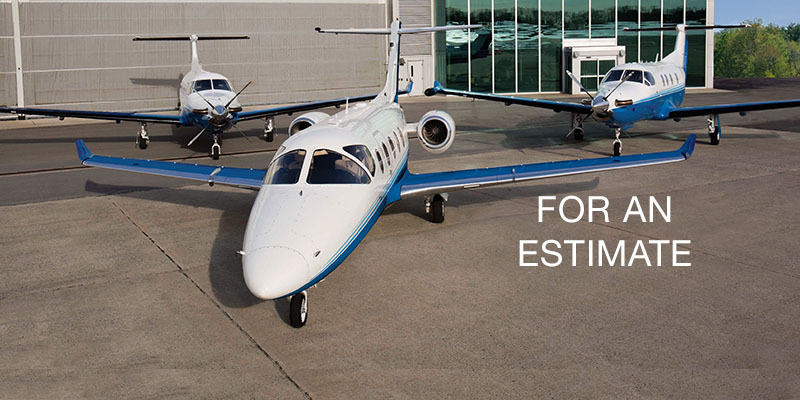 It offers on-demand charter service with Pilatus PC-12 turboprop aircraft and Nextant 400XTi light jet aircraft. Cobalt® a sister company of PlaneSense, Inc.
PlaneSense, Inc., which was founded in 1996, is the manager of the PlaneSense® PC-12 fractional ownership program. It is also a launch customer of the Pilatus PC-24 super-light business jet which is scheduled for entry into service in the second half of 2017. Since inception, the company has flown over 275,000 hours in support of its fractional owners. The PlaneSense program employs the world’s largest civilian fleet of PC-12 aircraft. The main purpose of Cobalt® is to perform demonstration flights for PlaneSense fractional share prospects, but it also offers limited availability for on-demand charter. Pending availability, this allows interested parties to experience the same sophisticated, reliable, high quality service that PlaneSense® fractional share owners enjoy. * Please note that airport availability can change on a daily basis. Enter your email below and a link will be sent to reset your password. Please enter your Company name if you are setting up a corporate account with more users than just you. It may take up to 24 hours for you to receive a confirmation email. Fully completed and signed Parental Consent Form on file prior to a flight with any minor child on board who is not accompanied by both parents or by a legal guardian. Please click the “I Understand and Agree” button to proceed. You will receive by email a copy of the Quote together with Terms & Conditions which will include payment information. This email will also contain any restrictions specific to the itinerary based on the information provided by you at the time the quote is requested, and that are not otherwise detailed in the Terms & Conditions. Any changes to the information provided to us by you may result in a change to the Quote. To accept the trip as quoted, fill out the payment section, sign the Terms and Conditions and return to Cobalt Air, LLC per the instructions. The parties are not bound and the trip is not scheduled unless and until the Quote and Terms & Conditions are signed and returned to Cobalt Air, LLC. Any changes made by you to the price quoted or to any of the terms will render the Quote and Terms & Conditions void unless expressly acknowledged and accepted, in writing, by Cobalt Air, LLC. Cobalt Air, LLC FAR Part 135 Air Carrier Certificate Number: 6CBA595M. The PlaneSense® program, which is managed by PlaneSense, Inc., is a fractional aircraft ownership program conducted under FAR Part 91 Sub-Part K. © 2019 Cobalt Air, LLC. Cobalt® is a registered trademark of Cobalt Air, LLC. PlaneSense® is a registered trademark of PlaneSense, Inc. Invalid or expired reset key. Please check the provided link and try again or initiate another reset.